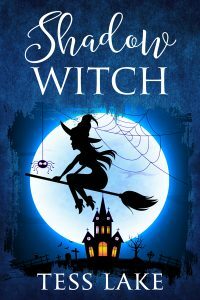 Shadow Witch (Torrent Witches Cozy Mysteries #6) Now Available! Thank you so much! I’m working hard on the next one! I am really enjoying this series. Each book elaborates on the last without making it mandatory to have read them. As Sheonagh stated above they getbetter and better. Thank you for the relaxing, stress free, down time. Just read all the Torrent Witch books!!! Can’t wait for the next one!! !